Prosecutors say they plan to retry a D.C. police officer accused of attempting to kill his wife last year. A hung jury led to a mistrial Thursday night in Samson Lawrence III's first- and second-degree attempted murder case. Had he been convicted, Lawrence could have faced life in prison. "At this point, we have made the decision that we are going to retry the case," John Erzen with Prince George's County State's Attorney's Office said. "We're surprised and disappointed [it was a hung jury]. We certainly felt we had a strong case." During a hearing Friday morning, a judge revoked Lawrence's bond, ruling he had violated the court's stay-away order for his wife and daughter. Lawrence will be held until his retrial. The daughter and neighbor of a D.C. police officer accused of trying to kill his wife testified in Prince George's County Tuesday. News4's Tracee Wilkins reports. Police said Lawrence was attempting to hang a projection TV at his home in Accokeek, Md. last November when he became angry with his wife because she said she didn't know where the screws to hang the projector were. 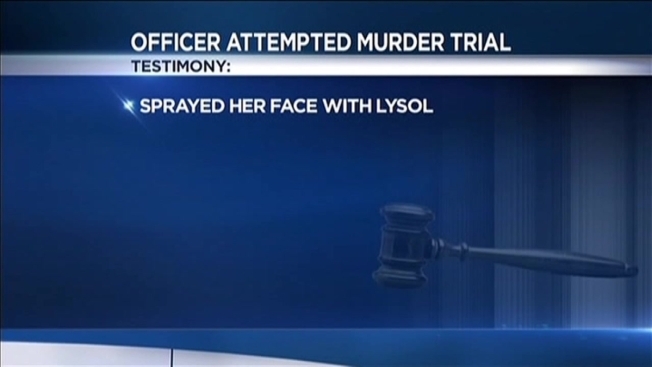 Lawrence then grabbed a can of Lysol and began spraying it in his wife's face, police said. The victim told police when she refused to make him something to eat, Lawrence began to push her. Prosecutors said he beat her with a metal light post and threatened her with knives when she tried to call 911. The victim was able to escape the house and called 911 from a neighbor's house. Lawrence's neighbor, mother and daughter testified Wednesday about the events surrounding his wife's alleged assault. 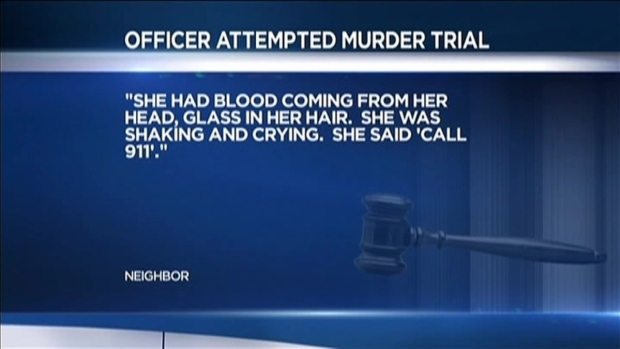 Lawrence told police his wife had fallen backward and hit her own head against the lamp. The defense argued the evidence presented by the state was not up to par and should not be believed. "Sometimes you just have jurors who feel there wasn't enough evidence," Erzen said. "We feel very comfortable with everything we did here. But we will certainly look at everything to see if there is something we'd like to do differently." Lawrence had joined the department in 1990 and was a patrol officer on the department's fourth district.